“FCPA enforcement is stronger than it's ever been – and getting stronger,” declared Assistant Attorney General Lanny A. Breuer on November 16, 2010. In 2010, U.S. regulators nearly doubled the number of enforcement actions over the record-breaking pace set in 2009 and obtained eight of the ten highest fines on record. 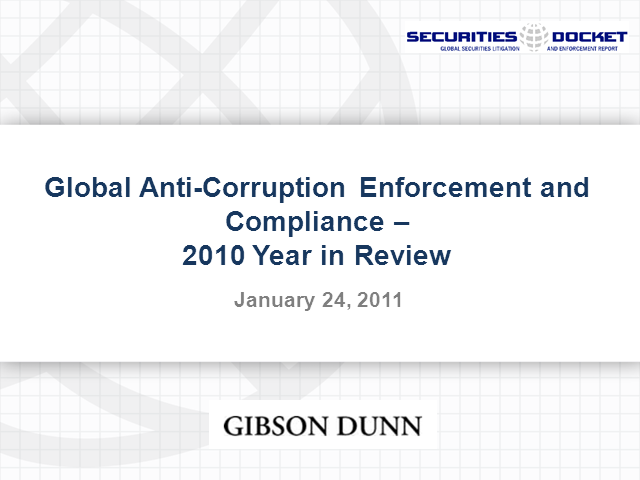 So it is hard to disagree with Breuer that “we are in a new era of FCPA enforcement; and we are here to stay.” The hallmarks of this new era of aggressive global anti-corruption enforcement are characterized by escalating numbers of enforcement actions, industry-wide investigations, a focus on individual prosecutions, and increasing cooperation among international anti-corruption enforcement authorities.